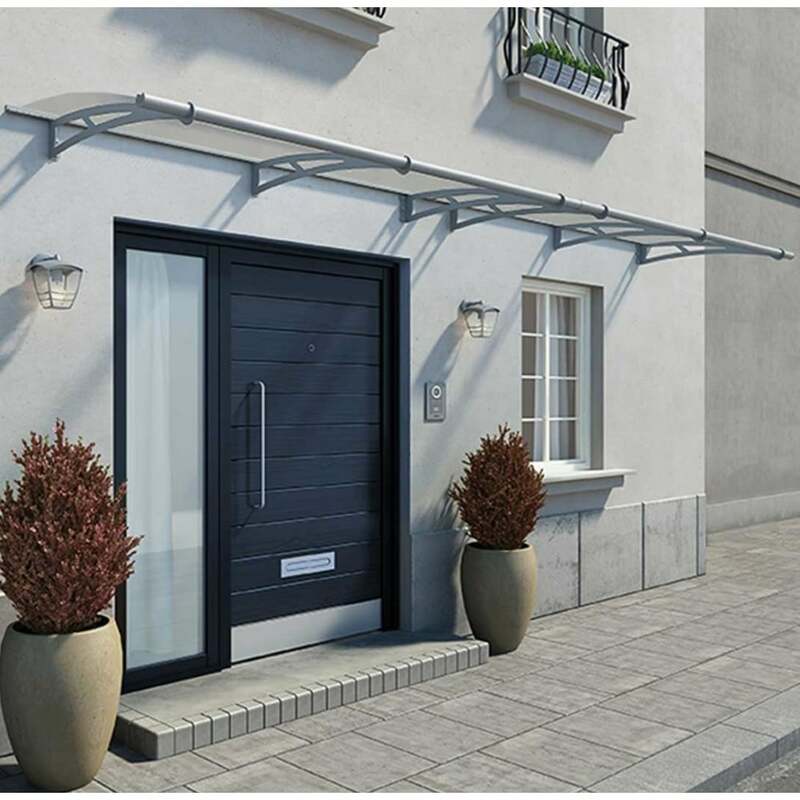 Palram Door Canopy Aquila 4100 Clear: This sleek and stylish canopy has a rust resistant aluminium frame which is supported by galvanised steel arms ensuring durability and stability during inclement weather. With shatter resistant panels this canopy will keep your entrance doorway protected from the weather and is UV protected filtering out harmful UV rays. Modern in design this canopy features an integrated gutter and a hidden rubber gasket, which fits between the frame and the wall and will offer further protection from the rain. Installation components are easy to assemble and a 3 year warranty against manufacturing defects is included. This canopy is certain to add a touch of class to your home.